The Four Little Known Facts About Artichoke! Artichokes are very attractive vegetables. The artichoke belongs to the sunflower family. This green vegetable has several thick pointed leaves that are attached to a central heart. It favors a large flower bud on top of a slim stalk. The soft petal bottom and very heart of the vegetable are the edible portions. Artichoke is one of the extremely nutritious vegetables available during the winter. In past few centuries the artichoke has been used as a diuretic. It was also used for deodorizing properties because it was considered an ideal breath freshener. In many countries, people use artichoke decorations as blood cleansers and detoxing the liver which at the same time cleanses the skin. Turkey country also considers the artichoke to be the ideal remedy for hepatitis. Nowadays, artichoke vegetables are known as mini packages of vitamins, minerals, and phytochemicals. Two of phytochemical compounds, cynarin and silymarin, possess extraordinary antioxidant properties that can be beneficial in helping the liver to regenerate tissue growth. 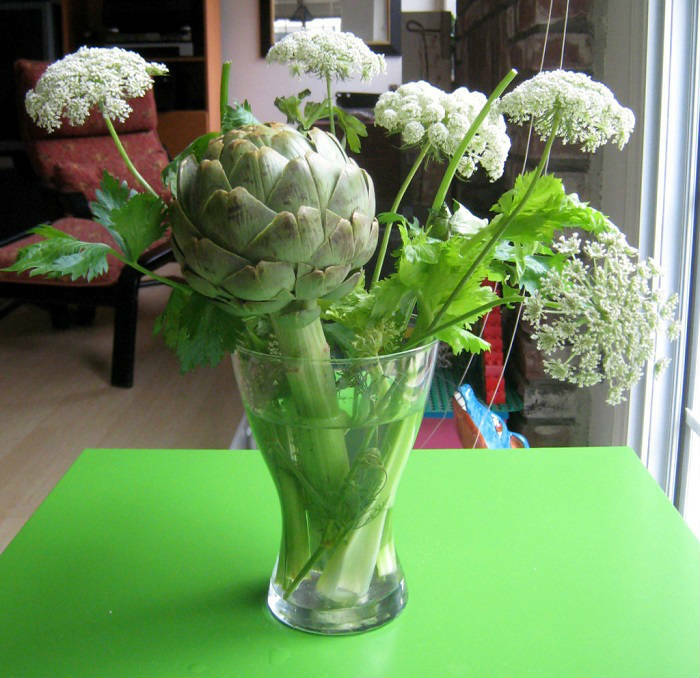 It is interesting that our ancestors considered the artichoke an appetite stimulant. Research has proven that the phytochemical cynarin really stimulates the taste. It gives sweet flavors to any of the foods that you eat immediately after eating the artichoke. 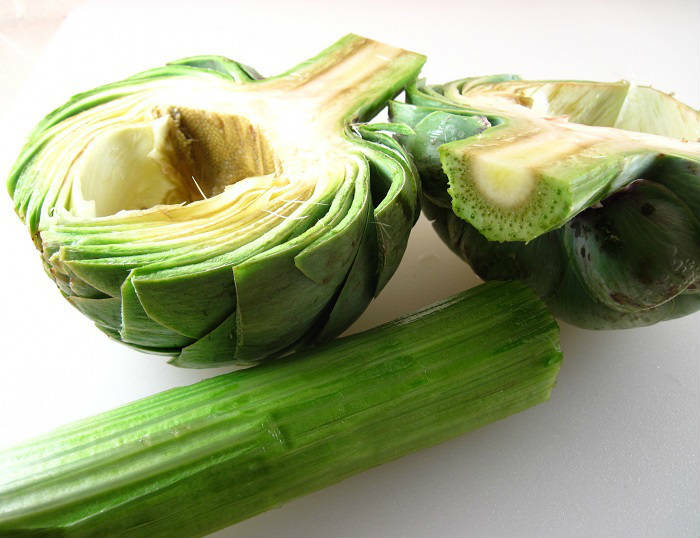 Fiber is a prime feature of this awesome vegetable with one medium artichoke supplying a hearty 6 grams. 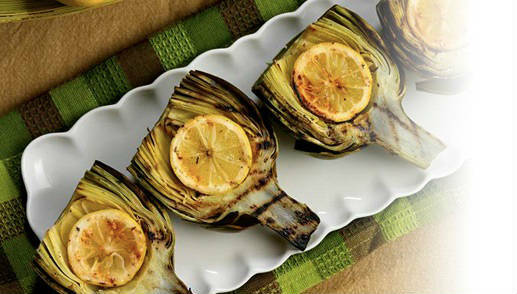 Dieters also can enjoy the artichoke because of its low count of 60 calories only. This delicious vegetable is a heavyweight on the protein chart offering 4 grams. The artichoke is really a no-fat, no cholesterol treat that offers a host of vitamins and minerals like calcium, chromium, iron, magnesium, manganese, phosphorus and potassium. The vitamin A content increases to 212 IU. For the B vitamin, niacin, it supplies 1.20 mg while vitamin B6 provides 13 mg. All-important folic acid adds up 61.2 mcg and vitamin C offers 12 mg.
Artichokes are a good source of calcium measuring 54 mg while iron supplies 1.5 mg. Magnesium increases to 72 mg while potassium scores an impressive 425 mg. Even zinc provides 6 mg. for that medium size. Because artichokes are rich with nutrients and phytochemicals, many health surveys show that eating them may contribute to the prevention of certain types of cancer, heart disease and birth defects. 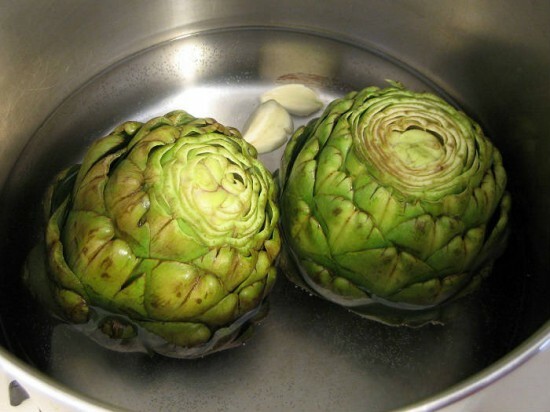 To cook artichoke vegetable, you can boil it, steam it or microwave it. Baby artichokes are cooked faster than the older ones. They also give more vegetable than the mature type. Artichoke can be used in soups and casseroles. But you can also spread the leaves and pull out the center cone. You can scrape the cavity with a spoon to clean then stuff with desired combination. The center (heart) of the vegetable is used to make a popular dip for bread or chips.